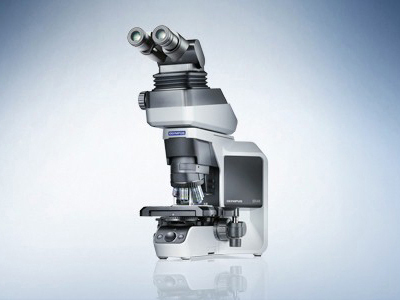 The BX46 is specifically designed to meet the demands of repetitive routine microscopy. This clinical microscope is focused with a moveable objective nosepiece rather than by moving the stage. The stage is fixed in a very low position, allowing the user to rest their arm on the desk when moving specimens. This greatly reduces fatigue and pain when using the microscope for long periods of time. Ideal user posture is further encouraged by the three-dimensional adjustability of the new observation tube, making the BX46 extremely comfortable for continuous daily use.